Arthur Z. Przebinda is a Palate Press Contributing Editor. Physician, amateur guitarist, wine lover, wine writer and now wine grower and wine maker. 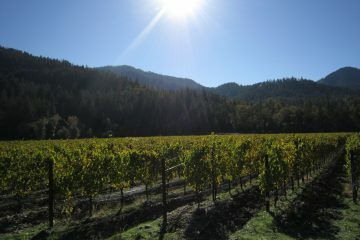 Arthur founded redwinebuzz.com in 2006 to focus on California’s Central Coast wine country and to offer general wine information. Since then, the site has evolved into Central Coast Wine Report and has grown to be the foremost authority on Central Coast wine. Arthur is a vocal proponent of using pre-determined criteria and a systematic approach to evaluating wine. The purpose of this approach is to offer individuals the necessary information to select wines without imposing the evaluator’s preferences. The rating system he created was selected for a 2009 academic paper focusing on systems that offer “utility for producers, consumers, and oenologic researchers“. Tom Wark has called Arthur “smart, opinionated and well-informed, a deadly combination“, saying on another occasion: “…[Arthur]’s a thoughtful person who puts good thinking behind his writing“. Former Los Angeles Times wine critic, Dan Berger, said in his April 3rd 2009 newsletter: “…it was refreshing to see a blog the other day from a man who seems to use his brain for cogent purpose.” Jancis Robinson has called Arthur’s site “admirably thoughtful and well-researched“. Arthur has been consulted as a wine expert, including in legal cases. He has contributed articles to Appellation America, California Winery Advisor, eBacchus.com, Winebusiness.com, Palate Press and the Los Angeles Times’ “Blowback” section.